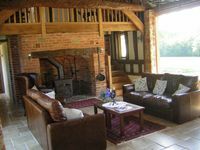 Property 4: Converted Barn set amongst the beautiful countryside of West Sussex. Property 29: Converted Barn set amongst the beautiful countryside of West Sussex. 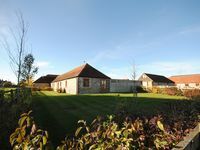 Property 35: Luxury self catering Barn Nr Goodwood. Stunning Barn conversion, with indoor pool, sauna, in 2 acres. Property 36: Stunning Barn conversion, with indoor pool, sauna, in 2 acres. Property 38: Beautifully Refurbished Period Barn located Surrey near Cranleigh and Guildford. Stayed for a month - and we still weren't ready to go! We just returned home after a month at The Barn @ Ewhurst and we really were not ready to leave! Everything about the property exceeded our expectations - the location, the facilities...even the weather :). Ian couldn't have been more accommodating, offering lots of helpful advice on local places to visit and where to eat. We hope to return someday and cannot recommend it enough.